China's second lunar rover Yutu-2 (Jade Rabbit-2), which is also the first-ever rover to drive on the moon's far side, will face great challenges brought by complicated terrains in its future exploration, Chinese space experts said Monday. The Chang'e-4 probe, including a lander and a rover, touched down on the Von Karman Crater in the South Pole-Aitken (SPA) Basin on the far side of the moon on Jan. 3, with the rover driving onto the lunar surface late that night. 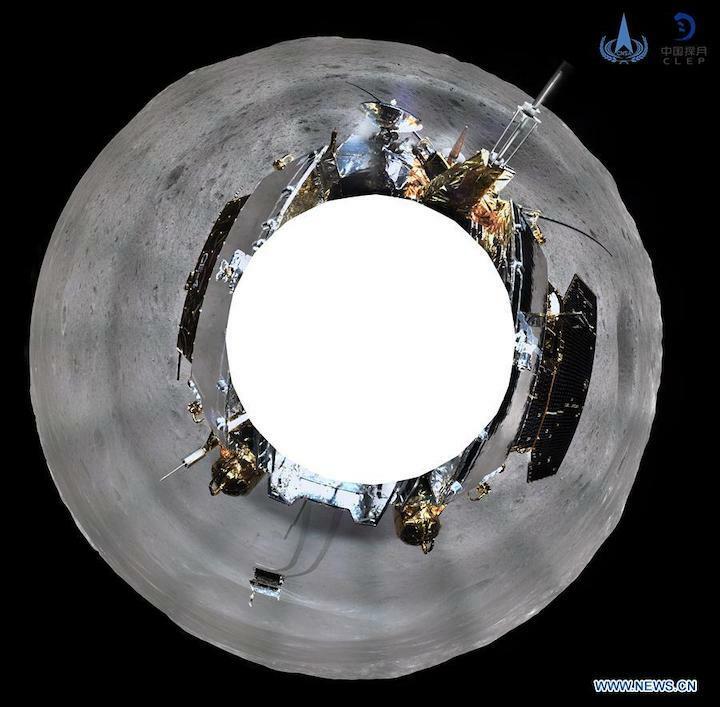 "From the images sent back from Chang'e-4, we can see the area surrounding the probe is dotted with craters of different sizes, and it's very difficult for the rover to drive in the region," Sun Zezhou, chief designer of the Chang'e-4 probe, said at a press conference of the State Council Information Office Monday. The rover is capable of avoiding some obstacles. If there are obstacles in front of it, it can stop and plan a new route on its own. It can also climb some slopes and cross some rocks. "We haven't found any insurmountable obstacle in the region," Sun said. He said the Chang'e-4 probe has achieved the expected landing precision. The telemetry information and images taken by a camera on the probe showed that the spacecraft effectively avoided obstacles during its descent. "This is the first-ever exploration on the surface of the far side of the moon. The scientific research will be innovative and influential both at home and abroad," Wu said. China is the global leader in space exploration, a Cuban geophysicist and science popularizer has said. The landing of the Chang'e-4 probe on the far side of the moon on Jan. 3 is an important milestone in the exploration of the Earth's natural satellite, Bruno Henriquez told Xinhua in an interview. "It is something very significant, because it is the first time that there is a soft landing on the far side of the moon, which can be explored in site and not from the lunar orbit," he said. Russian, U.S., Japanese and Indian spacecrafts had explored that part of the moon from the lunar orbit, but none have landed there before. Henriquez also praised the fact that the Chinese probe landed on the moon's Von Karman crater in the South Pole-Aitken basin, and China's excellent deployment of the Yutu remote-controlled vehicle. "The Chinese are today on top in terms of outer space exploration, not only in launching spacecraft, but also in their approach to the space program and everything they have developed on land to support it," Henriquez said. The science fiction writer and former researcher at Cuba's Institute of Geophysics and Astronomy believes that Western mainstream media remains an outdated narrative that claims China lags behind the United States in space. "They have accomplished many things, such as the first quantum communication satellites. They have the largest radio telescope on earth of the spherical reflector type, very similar to the one at Arecibo (Observatory) in Puerto Rico," he said. China's scientific achievements have motivated Henriquez to create a collection of popular science books about everything related to space exploration, including the development of rocketry, the number of manned space flights, China's taikonauts and new uses for satellites. "It is an attempt to show that China has a very intense policy of scientific development, of which the space program is just one facet," Henriquez said. Henriquez is about to release a book on China's successful space program, which highlights China's development of its own space technology, remote sensing, remote control and autonomous exploration robots. The Chang’e-4 probe is China National Space Administration part of a series of missions designed to explore the surface of the moon, which started in 2007 with the Chang’e-1 orbiter, and was followed in 2010 by the Chang’e-2 orbiter, and the Chang’e-3 lander, which successfully touched down on the near side of the moon in 2013. A fifth mission, which is designed to land on the surface and return samples to Earth, is slated for the end of the year. In the 2015 blockbuster The Martian, Matt Damon plays an astronaut who gets stranded on Mars and survives by growing potatoes, producing enough food to last months. China’s lunar mission could bring that piece of science fiction a step closer to reality if it succeeds in growing the first flower on the moon in less than a hundred days’ time, an experiment that the China National Space Administration said it would soon broadcast. When the Chang’e 4 spacecraft landed on the far side of the moon on January 3, its cargo included an airtight container known as a “moon surface micro-ecological circle”. At 18cm high and 16cm in diameter, the aluminium alloy cylinder contains silkworm eggs and seeds for potatoes and a kind of cress. It weighs only 3kg but cost more than 10 million yuan (about US$1.5 million) – the internal camera alone cost 600,000 yuan. If all goes well, both plants will root and sprout in the container, producing the first flower on the surface of the moon towards the end of a 100-day experimental period, according to the space agency. Meanwhile, the silkworm eggs will also complete the full life cycle, from hatching to turning into moths. The plants would not be the first flowers grown in space though – on January 16, 2016, Nasa shared photographs of a zinnia in bloom in a plant system aboard the International Space Station, orbiting about 300km above the Earth. Cultivating the plants won’t be easy – temperatures on the moon’s surface can go over 100 degrees Celsius (202 degrees Fahrenheit) in the day and drop to minus 100 degrees at night. Radiation from the sun and the lower gravity will also pose problems. Professor Xie Gengxin, the Chinese scientist in charge of the lunar plant experiment, said that if successful, the project would signal that China was catching up in space exploration, state-run Beijing Youth Daily reported. Xie said it would lay the foundation for humans to live in outer space. Xie said the team had designed the container to maintain a temperature of between 1 and 30 degrees, allow in natural light and feed the plants with water and a nutrient solution. The silkworms would consume the oxygen released by the plants, emit carbon dioxide and fertilise the plants with their dung, he said. Xie said a similar experiment would be conducted on Earth for comparison. 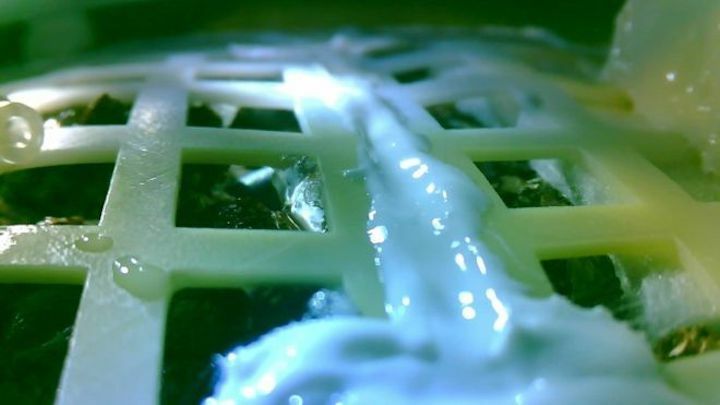 One of the cotton seeds carried to the moon by China's Chang'e-4 probe is the first ever to sprout on the moon, according to scientists of a mini biosphere experiment Tuesday. They also have to control the humidity and nutrients. Some have raised the question of whether the experiment risks "contaminating" the Moon, but scientists generally think this is of little concern. And it's worth reiterating that there are already nearly 100 bags of human waste on the Moon left behind by the Apollo astronauts. But China's greater Chang'e-4 mission goes on. Earlier this month, China announced it had become the first country to land a probe on the far side of the moon, in what is largely a scientific mission and is also preparation for sending Chinese astronauts to the moon. Tucked aboard the spacecraft were seeds within a biosphere equipped with some of the comforts of home: water, soil, air and a heat control system, Chinese researchers said. Once the probe touched down, ground control instructed the probe to water the seeds. And on Tuesday Chongqing University announced that photographs of tender cotton shoots revealed "the first green leaf growing on the moon in human history was successfully realized." A claim, which while perhaps technically correct, may not be precise. "China has grown the first leaf in a specially designed chamber that was placed on the moon," Melanie J. Correll, associate professor at the University of Florida's Agricultural and Biological Engineering Department told NPR in an email. "[The] plants were not exposed to the extreme environments of the moon." But still the conditions proved too harsh. Xie Gengxin of Chongqing University, who designed the experiment, told CNN that the temperature inside the biosphere was bouncing around so much that no life could be sustained and the control team remotely shut down power inside. In all, Chongqing University said it sent six organisms to the moon, including potato seeds, yeast and fruit flies. But Xie told CNN that the temperature swings were so extreme they likely killed everything. 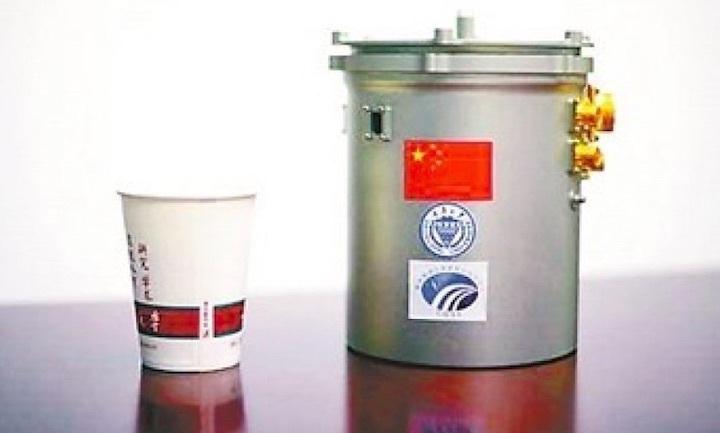 The Xinhua news agency quoted China's National Space Administration as saying, "the organisms will gradually decompose in the totally enclosed canister." Despite their reaching an untimely end, Simon Gilroy, Professor of Botany at the University of Wisconsin-Madison, told NPR that the seeds are still germinating big hopes. "If we want to live longer-term off the surface of the Earth, could we take along the biology that we use to keep us alive?" he said. "It's fantastic to be able to sort of say, yeah, it's a first tiny step down that path." Yet the answer to a key question remains elusive, Gilroy said: "How do you become a good gardener in space?" "Trying to move the Earth's environment to the moon is the hardest thing," Gilroy said. "You need water, light, the temperature has to be right and you have to provide the nutrients you normally get from the soil." Correll said as scientists and engineers work on improving the technology needed to grow plants remotely, the plants themselves may also hold the answer. "These types of studies are critical in order to develop new plants designed for these challenging environments and to grow them to support long-term human space exploration," Correll said. 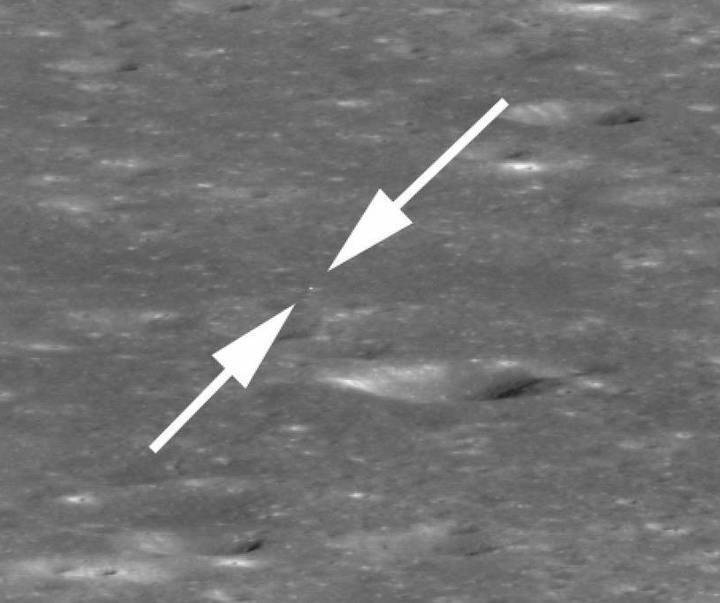 The Chang’e 4 made a historic soft landing on the far side of the moon on January 3. Nasa’s statement confirmed a similar announcement by Wu Yanhua, deputy chief commander of the China Lunar Exploration Programme, that US space scientists had sought permission to use its spacecraft and relay satellite to help them plan a future mission. Nasa said its scientists had been exchanging, collecting and analysing data with the Chinese team since the soft landing, and its lunar orbiter was expected to pass over and take pictures of the landing site on January 31. The cooperation comes against the backdrop of heightened tensions between Washington and Beijing, with Chinese technology products under intense scrutiny in the United States amid national security concerns. That scrutiny of Chinese products – from Huawei’s telecoms equipment to Hikvision surveillance cameras – and pressure on Beijing to scrap its state-driven “Made in China 2025” industrial strategy has put a spotlight on their growing technology rivalry. The dispute was further complicated last month with the arrest in Canada of Huawei executive Sabrina Meng Wanzhou at the request of the US over alleged Iran sanctions violations. Although Nasa was banned from bilateral cooperation with China in 2011, it can do so with congressional approval, and the statement suggested the collaboration on lunar landing research had already been cleared by the administration of President Donald Trump and Congress. The US space agency emphasised that the cooperation would be “transparent”. “All Nasa data associated with this activity are publicly available,” the statement said. The two sides also agreed that any significant findings resulting from the activity would be shared with the global research community at the UN Committee on the Peaceful Uses of Outer Space meeting in Vienna next month. The research is important for Nasa’s robotic lunar surface missions, which will begin as early as next year. The US campaign to return to the moon – the first in 40 years – has been brought forward by Trump, who has also directed collaboration with international and commercial partners. China, which has long been excluded from the international space station and many other outer space joint research projects, saw it as a “great opportunity”. “This time, we have such a great opportunity … we are willing to work with them,” Wu Weiren, chief scientist of the lunar programme, told state broadcaster CCTV on Tuesday. He said the Nasa scientists made the cooperation request at an international meeting a few years ago, also asking China to extend the lifespan of its Queqiao relay satellite and to allow a US beacon device to be placed on the Chang’e 4, saying it would help the US plan its own lunar landing strategy. According to Chinese state media, the United States is among half a dozen countries that have collaborated with China on the lunar project. Other partners include Germany, Sweden, the Netherlands and Saudi Arabia. 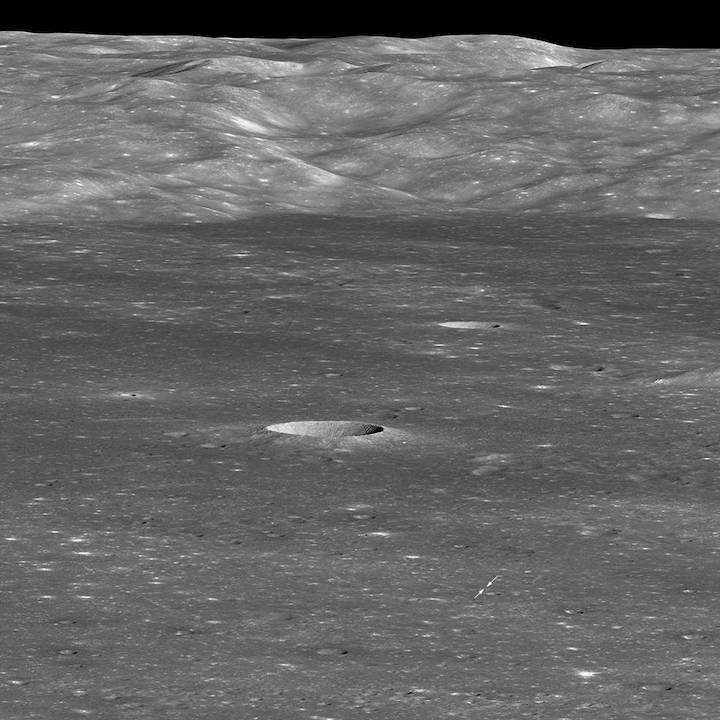 The Chang'e-4 spacecraft are expected to soon begin a second lunar day of activities in Von Kármán crater, ending a two-week hibernation following their historic lunar far side landing on January 3 this year. The Chang'e-4 lander and rover have been in a sleep state since January 13 and 12 respectively in preparation for the approximately 14-Earth-day-long lunar nighttime, following their dramatic automated landing inside the 180 km diameter crater within the South Pole-Aitken basin. There have been no official updates from China regarding the mission for two weeks, but sunrise over the eastern edge of the crater began on January 28 according to Virtual Moon Atlas, suggesting that the Chang'e-4 craft will resume operations on or around the 29th, when the Sun will be higher in the sky to provide solar power to the spacecraft. China's first lunar rover, the 2013 Chang'e-3 mission's Yutu, travelled just 114 metres before encountering an issue to ended the rover's mobility. Improvements have been made to Yutu-2 which should boost its reliability and durability. 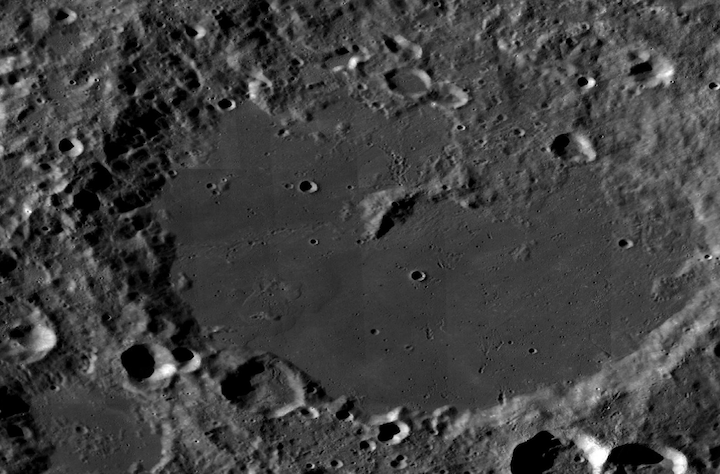 NASA's Lunar Reconnaissance Orbiter (LRO) is expected to take images of the Chang'e-4 spacecraft at its landing site in the Von Kármán crater on January 31 and also gather data about how lunar dust is ejected upwards during a spacecraft’s landing, in a rare instance of space cooperation between China and America. The rover and the lander of the Chang'e-4 probe have been awakened by sunlight after a long "sleep" during the first extremely cold night on the moon, the China National Space Administration (CNSA) announced on Thursday.